We seek to establish a robust governance structure by leveraging our team’s deep domain expertise in social innovation & sustainable impact. Identification & due diligence of the NGOs as per companies’ CSR mandate. 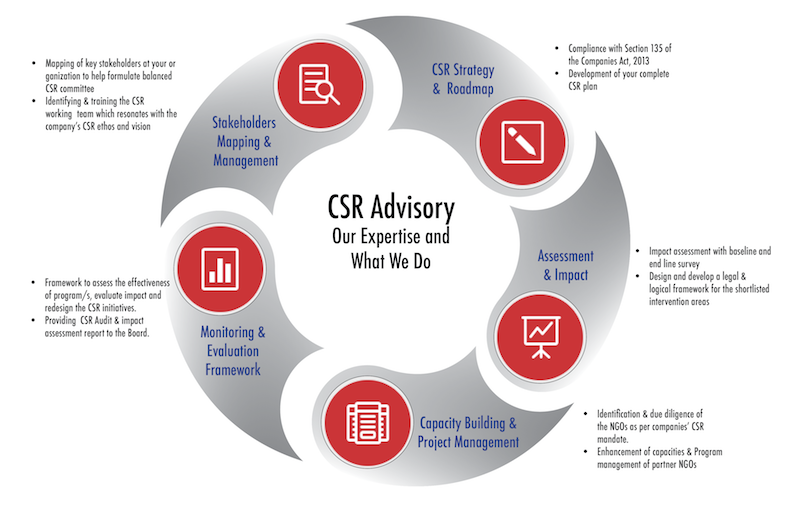 Framework to assess the effectiveness of program/s, evaluate impact and redesign the CSR initiatives. Providing CSR Audit & impact assessment report to the Board.